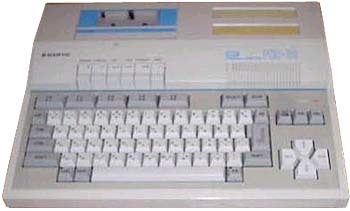 This is a classic MSX1 computer. In fact it seems to be a PHC-28S with a built-in tape-recorder. see more Sanyo PHC-30 Ebay auctions !